Gluten is found in wheat, oats, barley, and rye, and for those with Celiac Disease and non-celiac gluten sensitivity (NCGS), gluten can be very dangerous, even lethal. 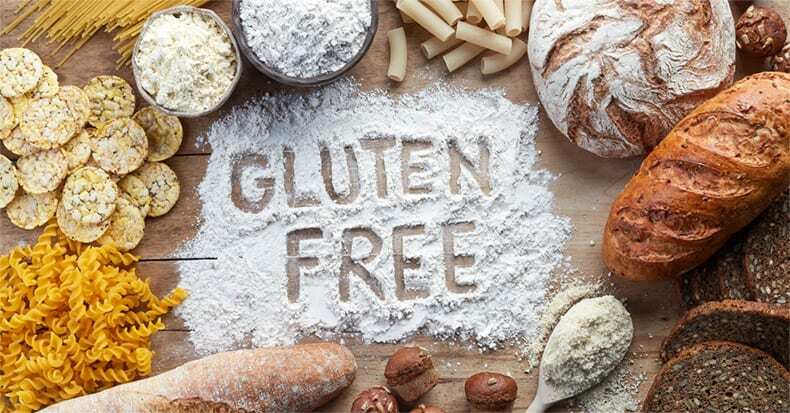 But many people opt to avoid foods containing gluten as part of an anti-inflammatory diet and there seems to be little-to-no argument that anti-inflammatory diets are indeed a very healthy choice. One study reported that a Mediterranean-style diet can reduce cardiovascular risk factors and can help resolve both metabolic syndrome and non-alcoholic fatty liver disease. Additionally, there are several published studies describing how an anti-inflammatory diet can reduce pain associated with conditions such as rheumatoid arthritis. One such study reported a striking reduction in pain, joint inflammation, and morning stiffness duration reduction utilizing this type of diet—and these improvements persisted when researchers followed-up with participants a year later! Because low-grade inflammation has now been identified as the driver of most chronic degenerative diseases, it is important to understand that low-grade chronic inflammation manifests itself both locally and systemically through a variety of inflammatory mediators. Many of these can be measured in a blood test and are commonly found in patients with chronic diseases such as atherosclerosis (hardening of the arteries) and osteoarthritis. Individuals who do their best to cut gluten from their diet often seek out gluten-free versions of their favorite foods. Is there anything these people should know? Well, an article in the November 2017 issue of Consumer Reports notes that gluten-free foods made with rice flour may contain high levels of arsenic and other heavy metals. The article also points out that those who restrict foods containing gluten tend to eat fewer whole grains, which may result in increased heart disease risk due to lower fiber intake. What the authors of the article don’t point out is that consuming more fruits and vegetables can make up for this deficit, as these foods can also be high in fiber. The good news is that gluten-free whole grains such as amaranth, freekeh, quinoa, buckwheat, millet, teff, and sorghum are great, healthy substitutes.